Google just released YouTube VR app for Android devices. Google has released YouTube VR app as Daydream View VR headset will be available tomorrow. You can now download YouTube VR app for free from Play Store. 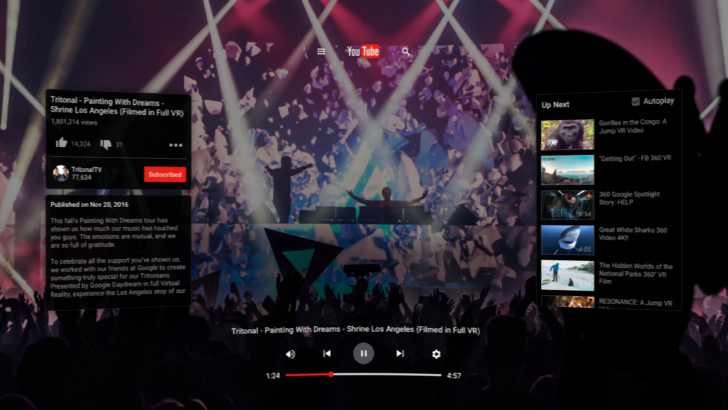 The new Youtube VR app interface turns browsing YouTube and watching videos into a 3D experience. You can use any Google Pixel, Pixel XL,any VR supported smartphone and the Daydream View headset. With the latest app, you can watch 3D 360-degree videos as well as standard videos. In fact, you’re able to watch every video that’s posted on YouTube, and do so within a VR space. The Youtube app will enable “theater mode” for non-VR-ready videos. The app also supports Spatial audio, which means depth and distance play a role depending on where you look. The app is also voice control capable. You can also sign in with the app, so you can view your subscriptions, playlists, and watch history too.